These stylish crackle globes add height wherever they are placed so will add an interesting focal point to your garden. Simple, quick and safe to install with everything you need in the box, including the shepherds crook. 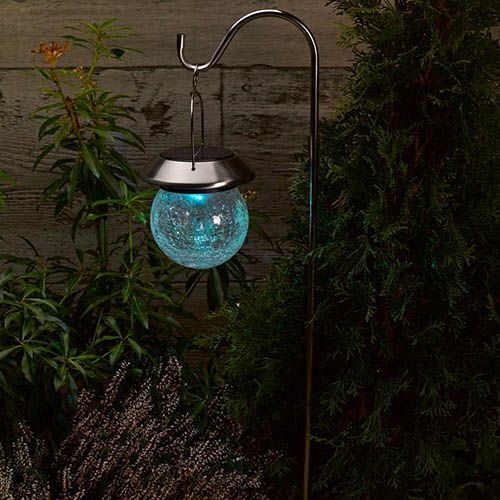 The crackle globe lantern is waterproof and designed for outdoor garden use - there's no need to dig up your garden to lay trunking and cables. Just sit back and enjoy!